The Saudi General Sports Authority in partnership with WWE will present the Greatest Royal Rumble event at the King Abdullah Sports City in Jeddah, Saudi Arabia on Friday, April 27. 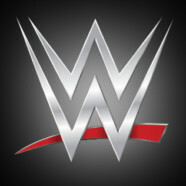 For the first time ever, the Royal Rumble match will feature 50 WWE Superstars. As part of this historic event, fans will see WWE Superstars John Cena™, Triple H™, Roman Reigns™, AJ Styles™, Braun Strowman™, The New Day™, Randy Orton™, Bray Wyatt™ and Shinsuke Nakamura™, among others.